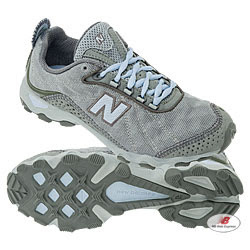 The December 2007 circulation of Fitness Rx just featured a spread on the New Balance 790! They describe this shoe as "an ultra-lightweight trail-racing shoe...built low to the ground for maximum responsiveness." It was a pretty great review and featured some information about new technologies; N-Durance® outsole, AT Tread®, Rock Stop®, etc. Check out this shoe for yourself. I am not a trail runner myself so I have not tried it out, but I have heard some positive reviews from others. Let's just say a few people in our own NB Web Express offices own this pair of shoes! Plus it comes in a ton of colors for both men and women!